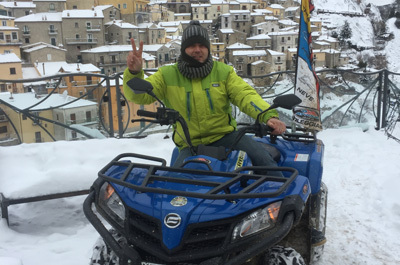 Our quad excursions take place in the magic atmosphere of Southern Dolomites with some guides to explore suggestive areas that have already known for the Flying Angel. Through a succession of asphalt and clay it is possible to appreciate valley views and high peaks of Lucanian Dolomites. 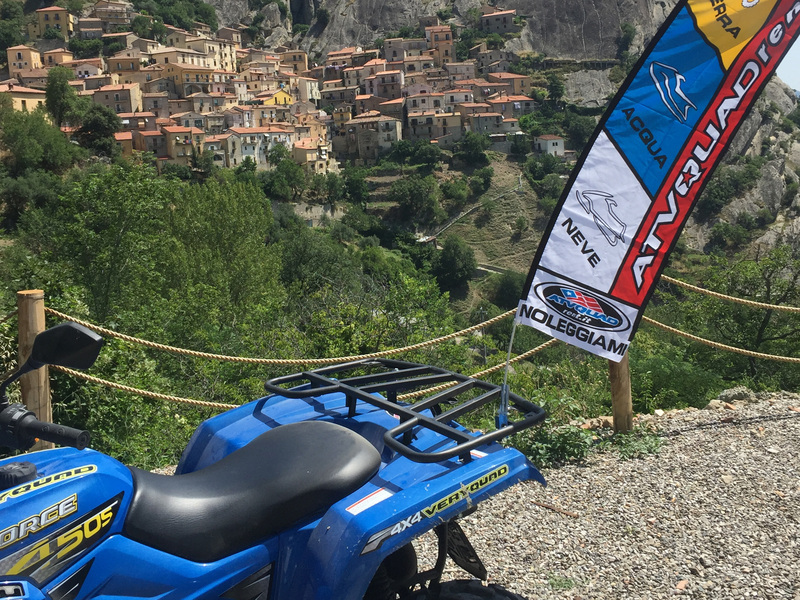 In a wonderful setting a rocky chain twists and turns; two villages, Pietrapertosa and Castelmezzano, fuse together in a fascinating game that allows to discovery a territory and its uncontaminated appeal. 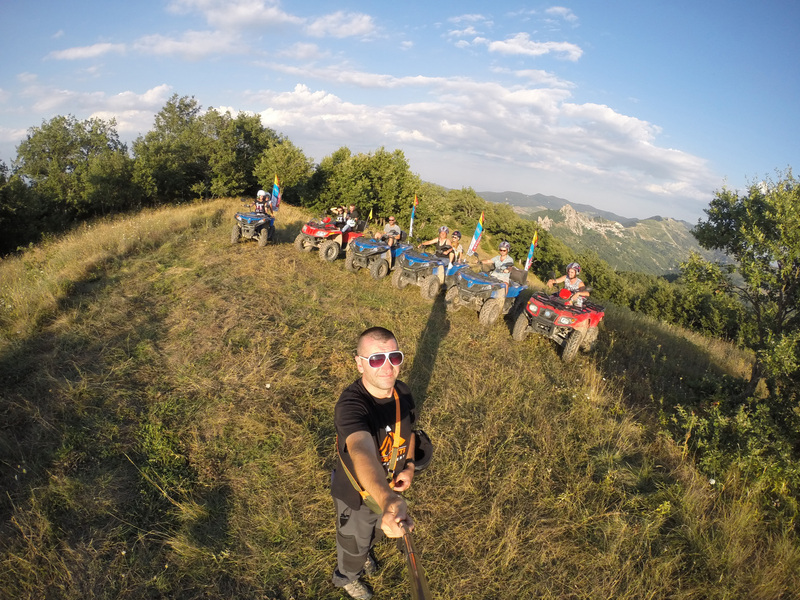 Our quad excursion is suitable for all, experts and beginners. 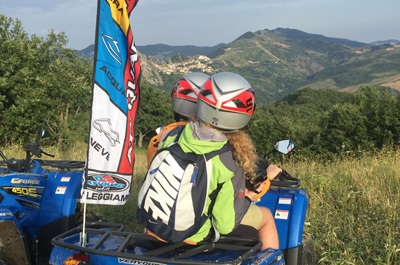 It is necessary that the driver has to be eighteen years old while the minimum age of passengers has to be eight because we would give safety and protection to young passengers that would take on our excursions. We provide 5 Polaris quad 330 and 1 Polaris Rager with 6 seats for a family or a group walk. Each vehicle is for 2 passengers and during the travel it is not possible to turn behind the wheel. You have to choose your rules, driver and passenger, before starting. 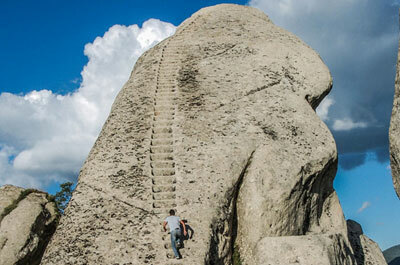 For every excursion you will go with an expert guide that will stay with you to live a great emotion with nature and a special route to everyone. 1 hour hike could be booked at 10.30 a.m., 3.00 p.m. or 5.30 p. m.
In the end, we suggest you suitable clothing for a sporty activity with closed shoes or sneakers, an anorak or k-way and bring a change in your backpack. 4 hours hike with local testing in collaboration with selected and agreed upon agritourisms where it is possible to taste typical dishes. 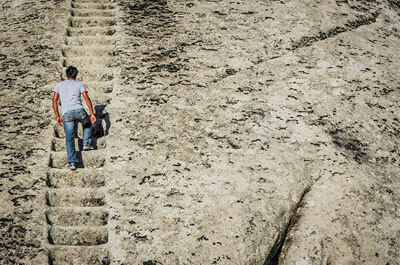 Night hike starts at 9.30 p. m. from Castelmezzano to Pietrapertosa with a short break for a happy hour together.